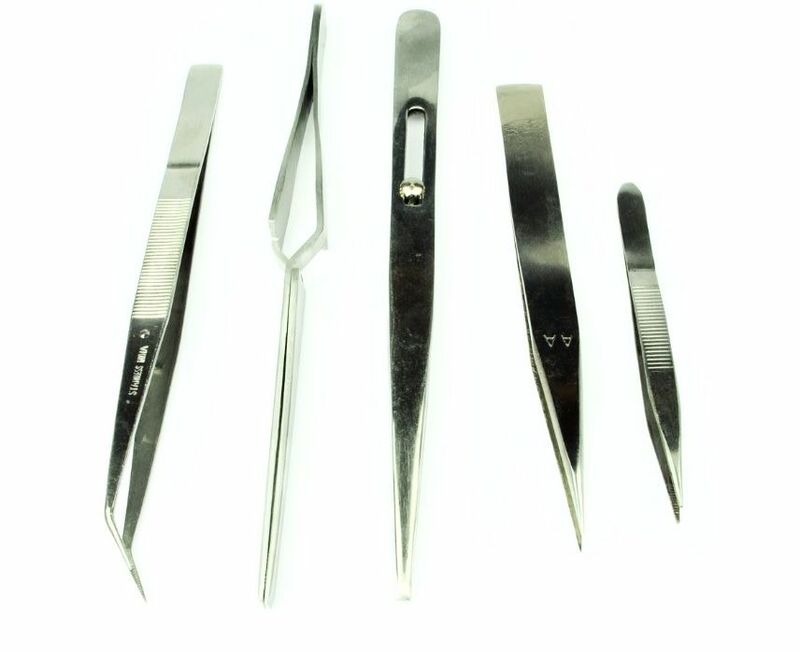 Here we have another great deal from Proops Brothers Ltd.
Set of 5 stainless steel tweezers. 1 x self grip tweezer (keeps your hands free) 170mm long. 1 x long knurled handle for good grip 175mm long bent nose. 1 x really pointed 125mm long. 1 x tiny pointed 90mm long 1 x with lock nut to stay closed (hands free) flat end 165mm long. We have a no quibble returns via Freepost.